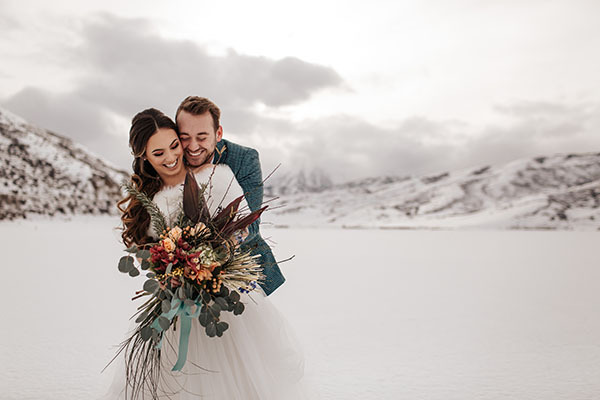 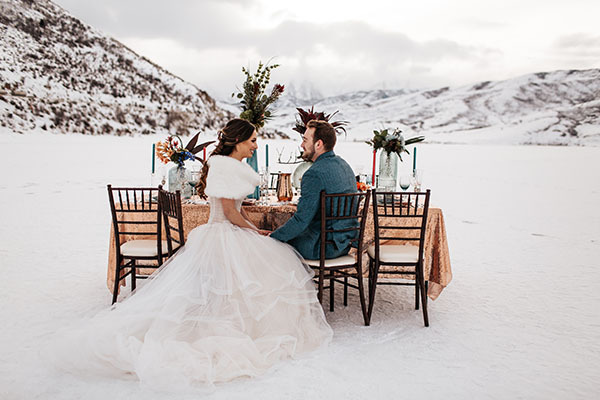 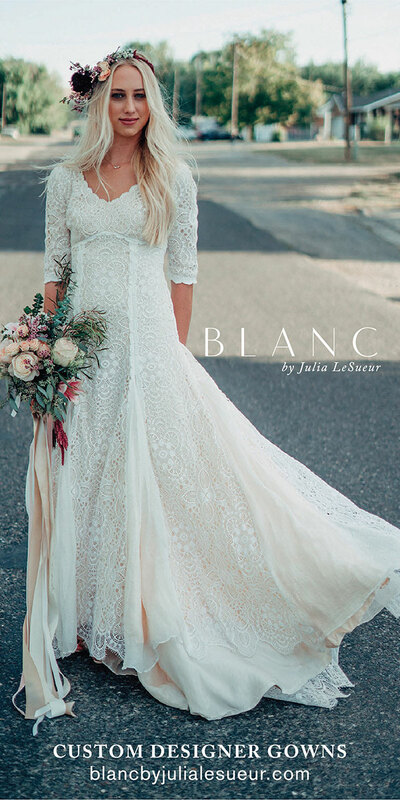 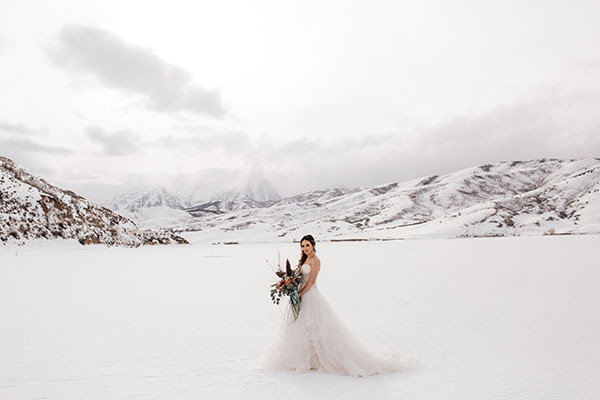 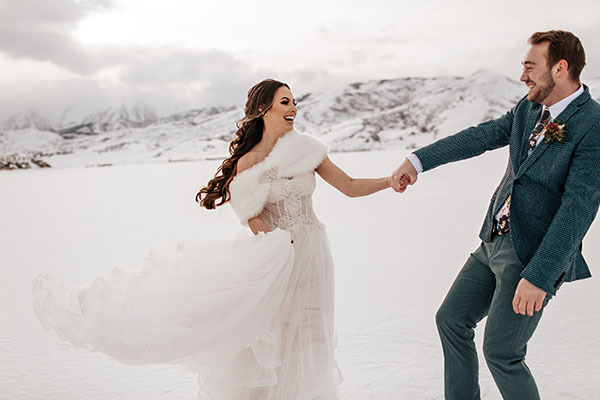 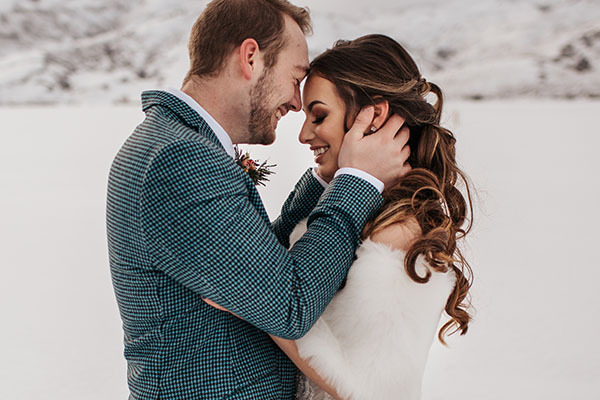 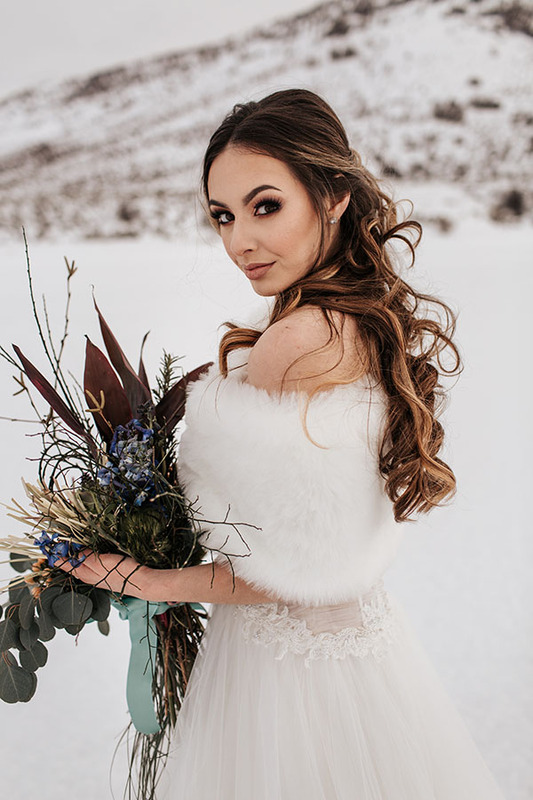 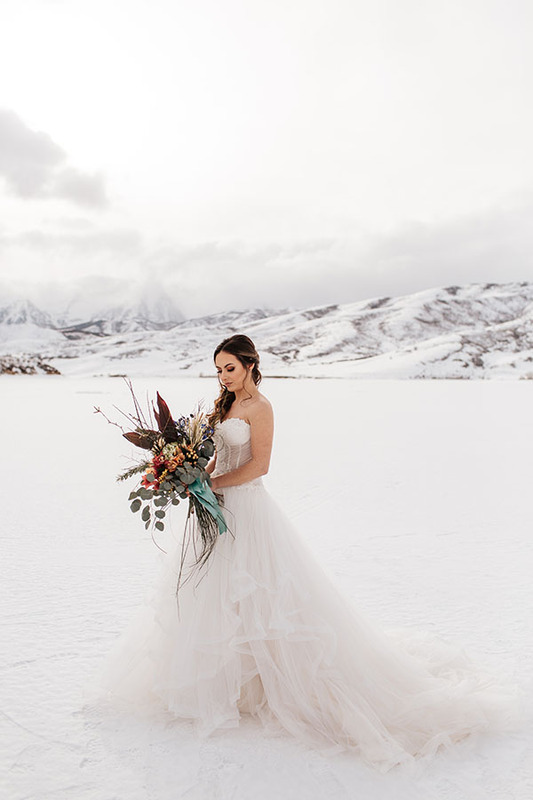 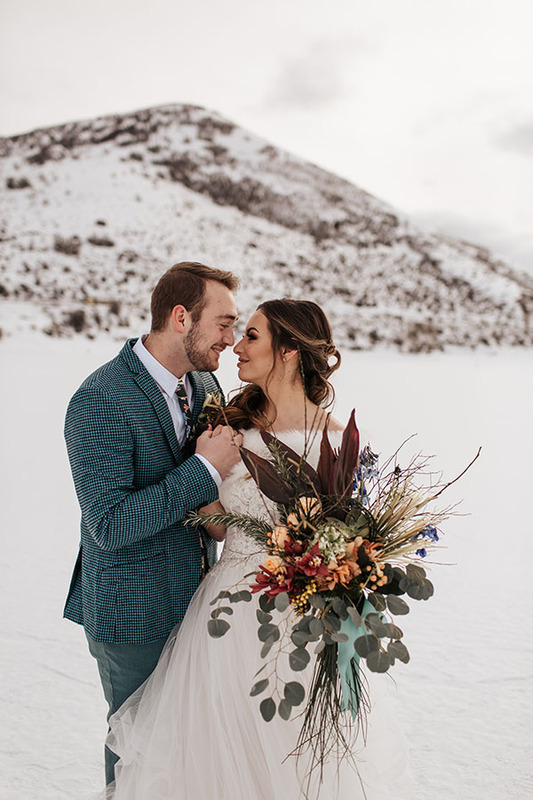 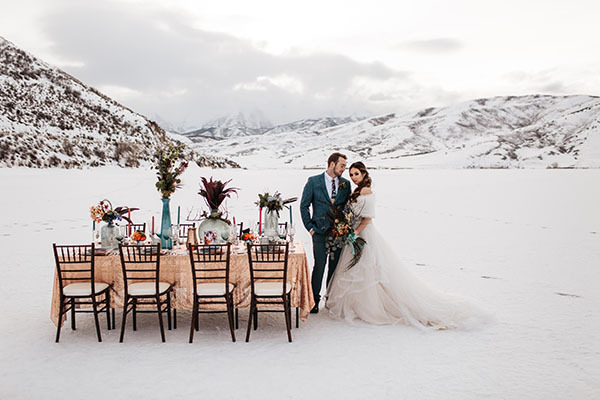 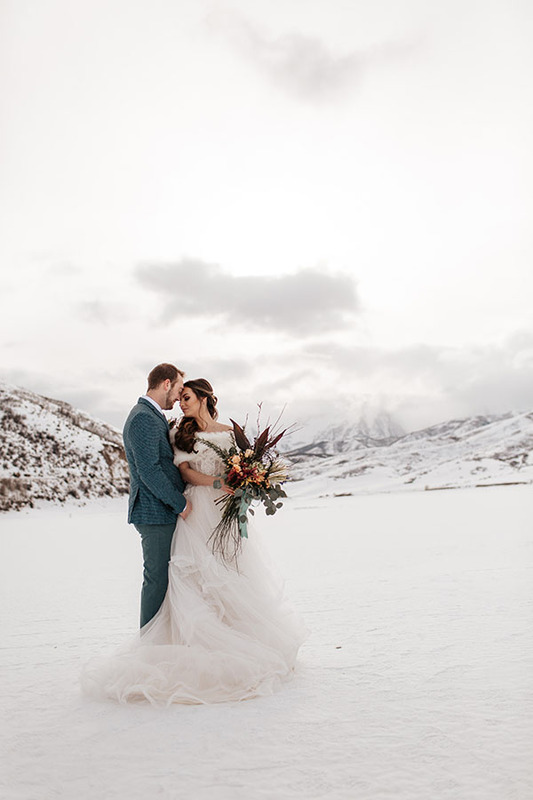 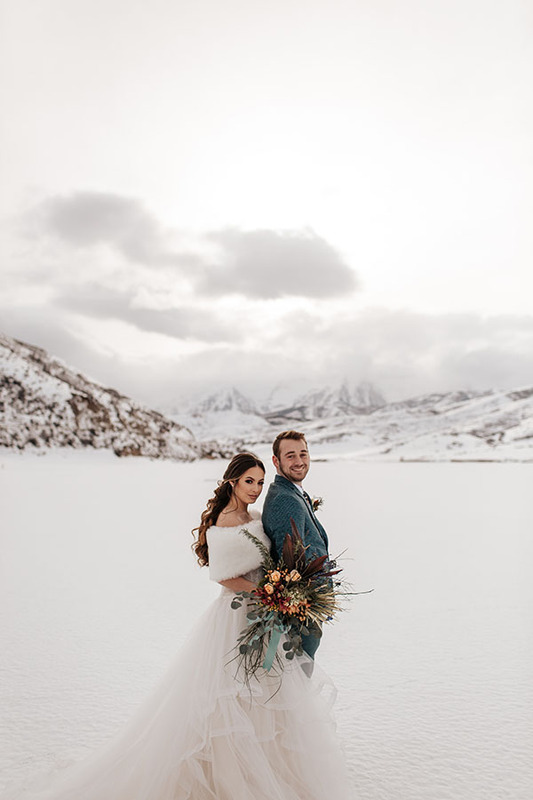 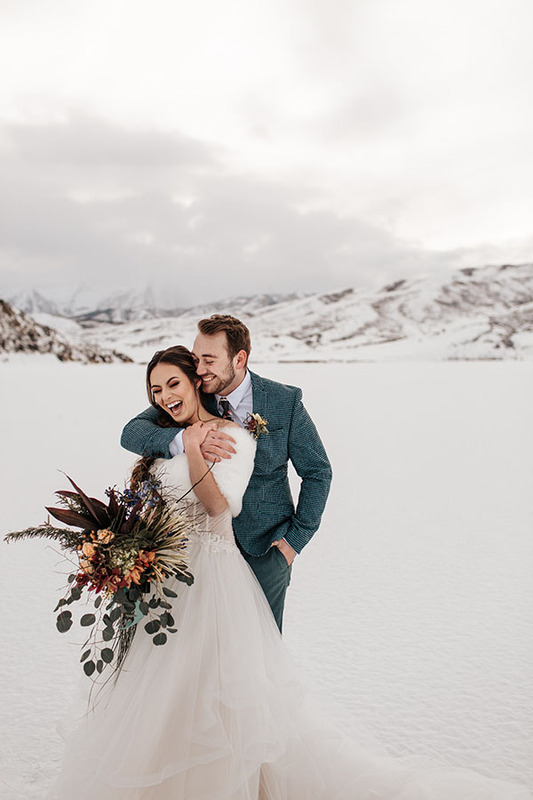 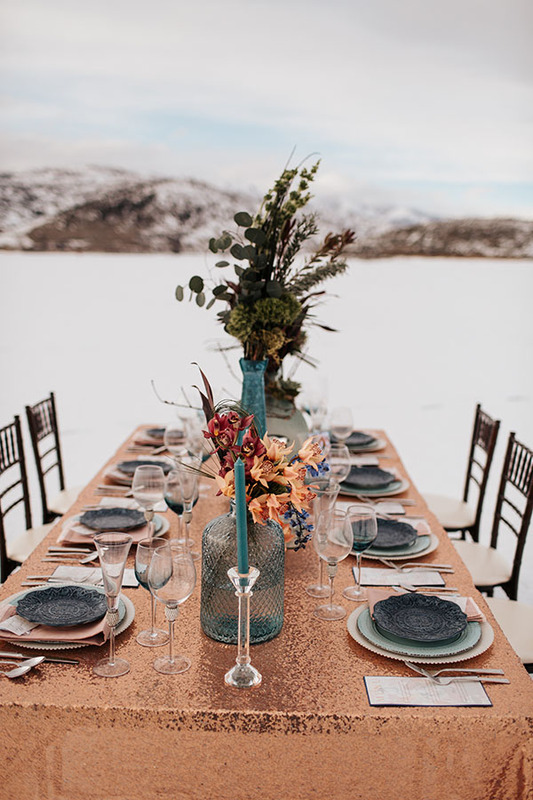 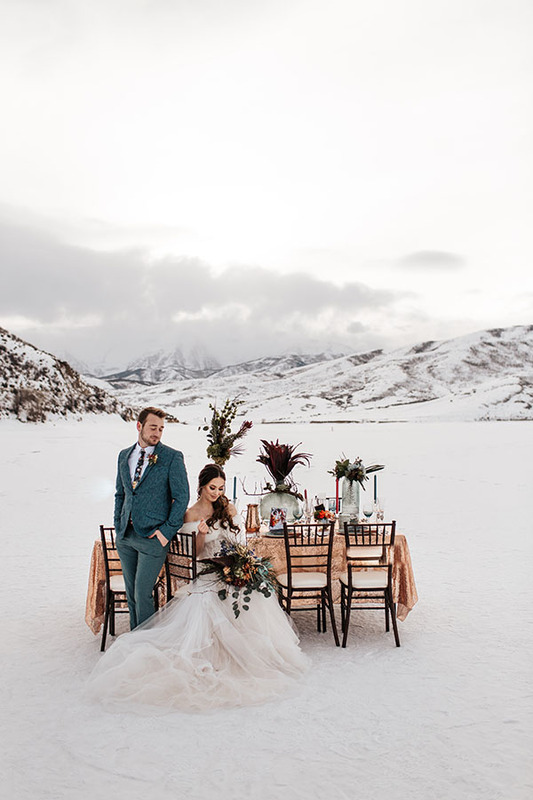 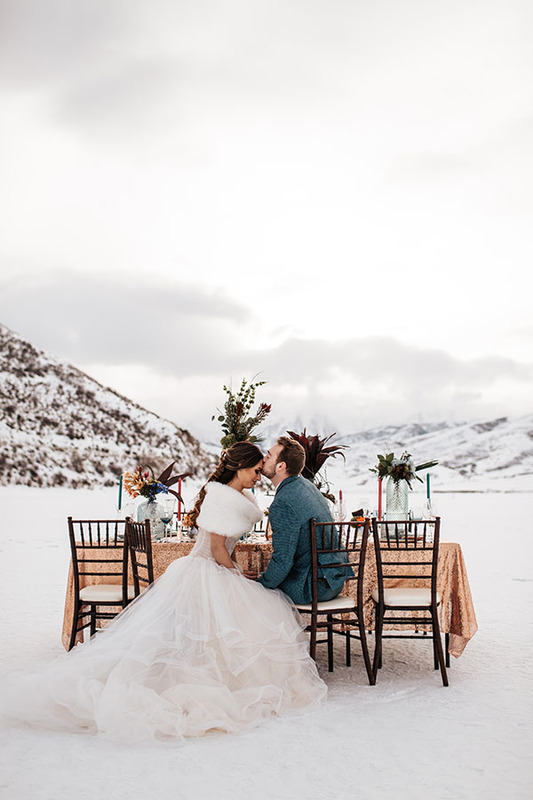 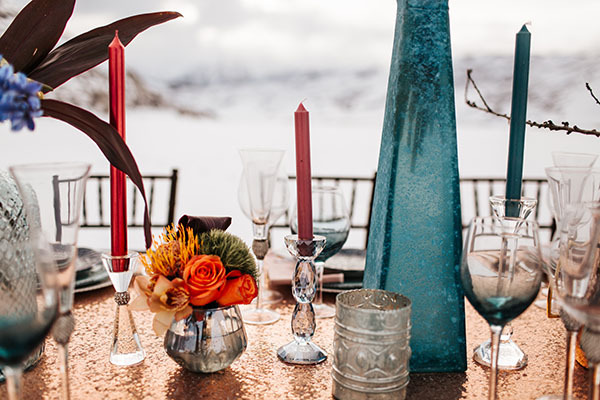 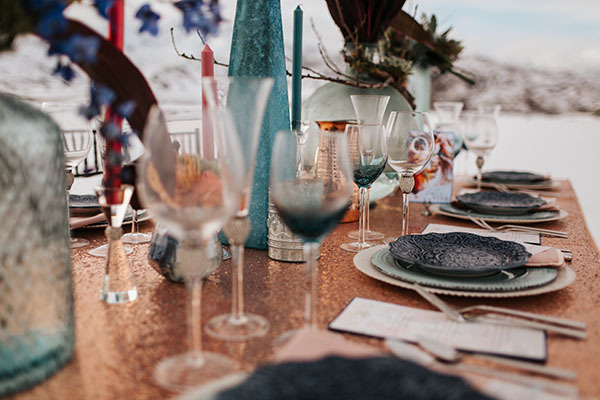 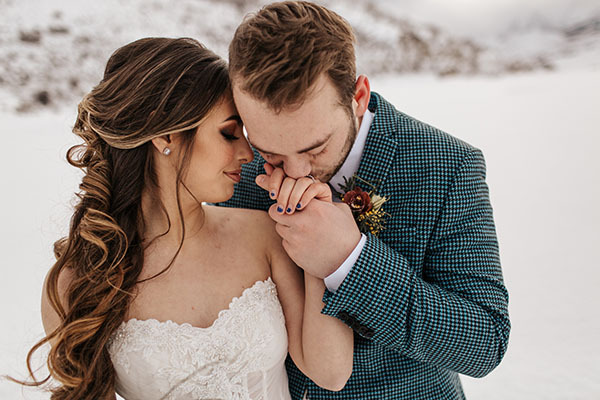 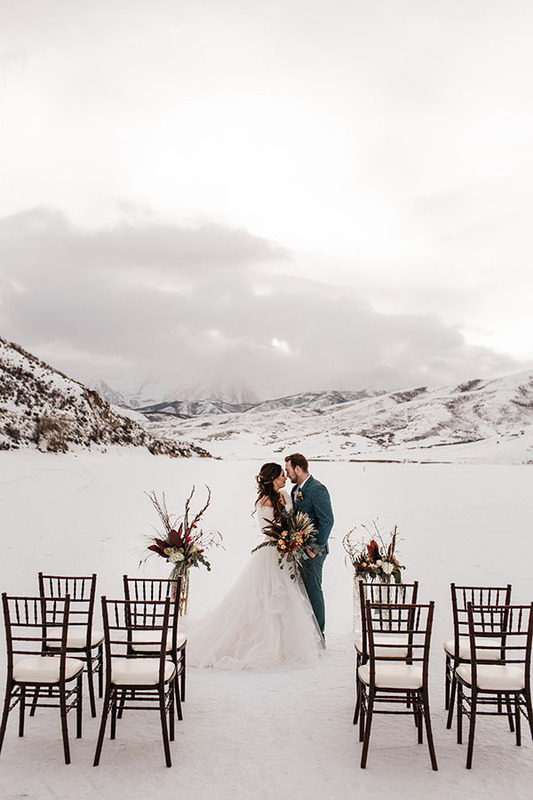 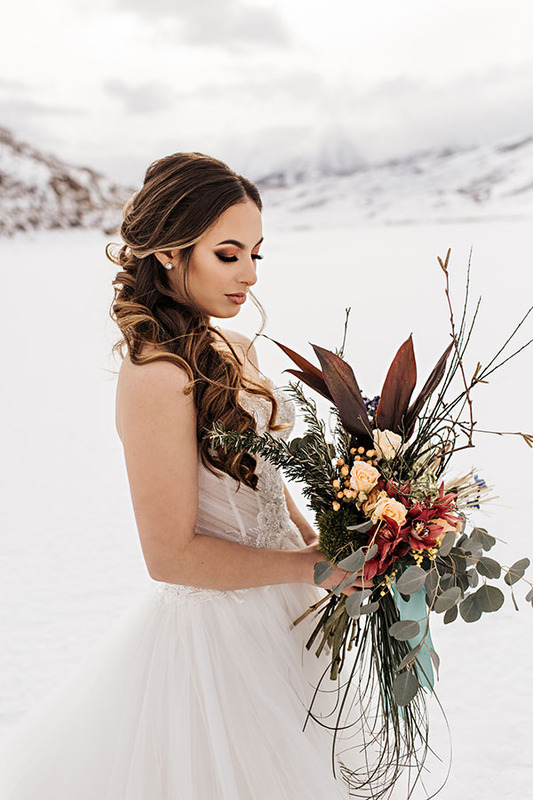 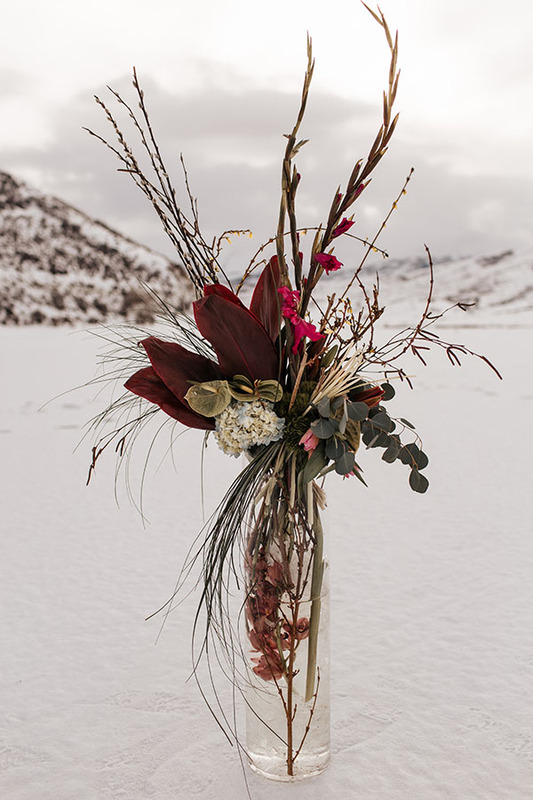 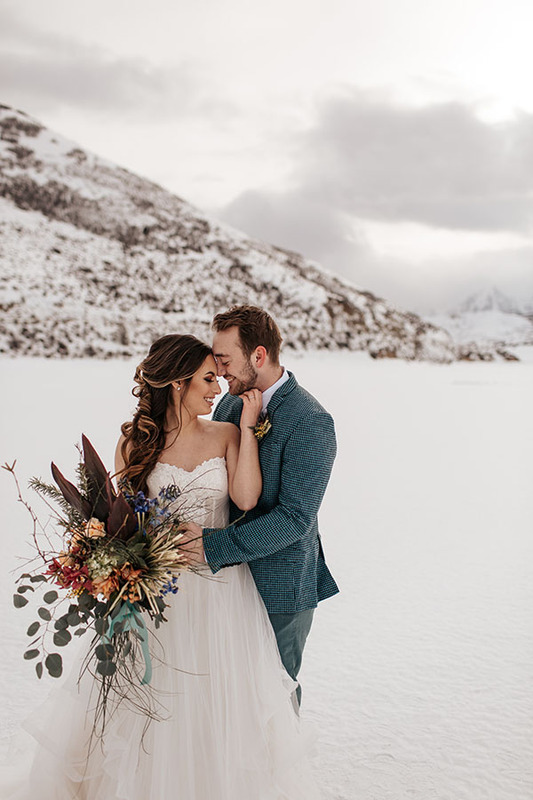 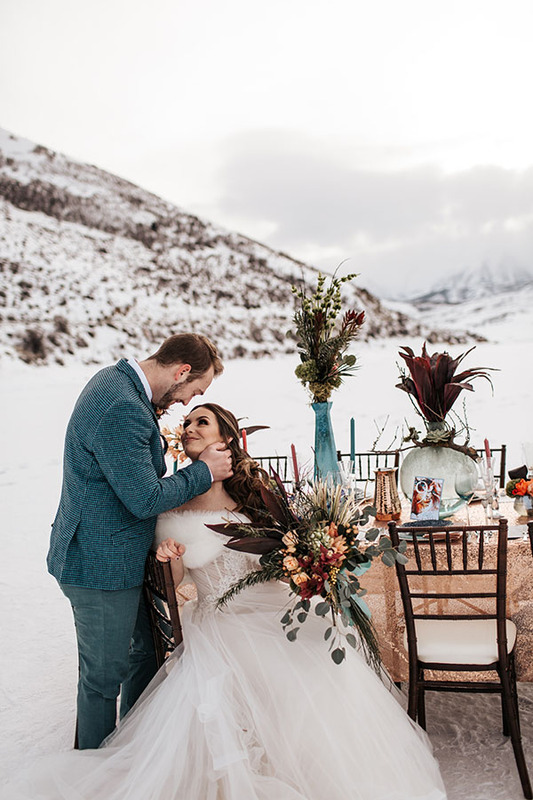 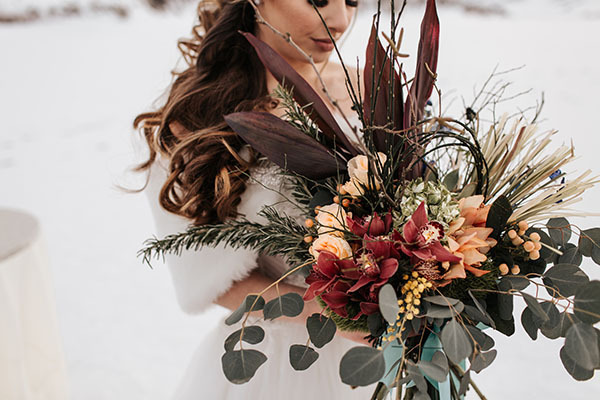 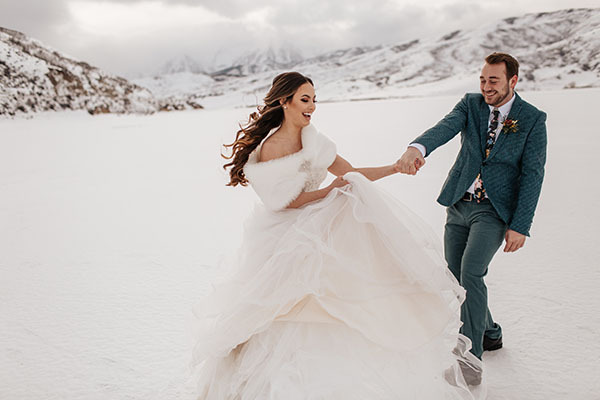 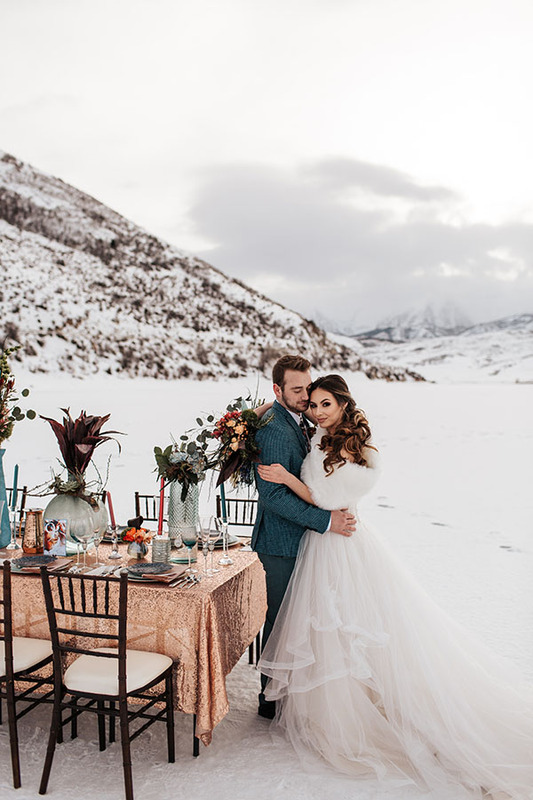 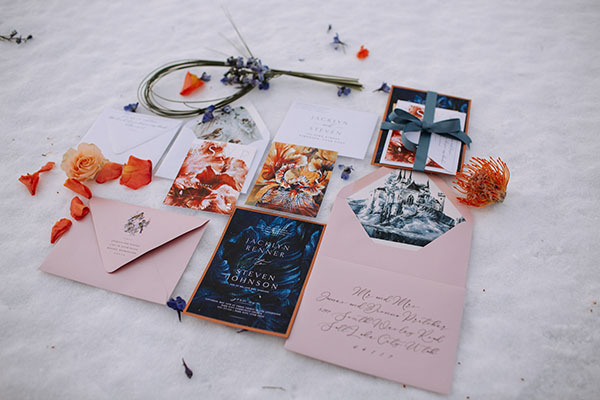 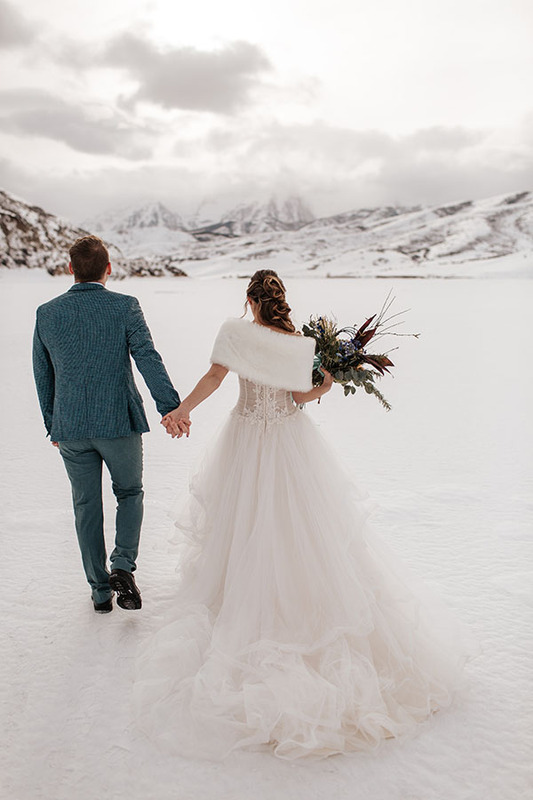 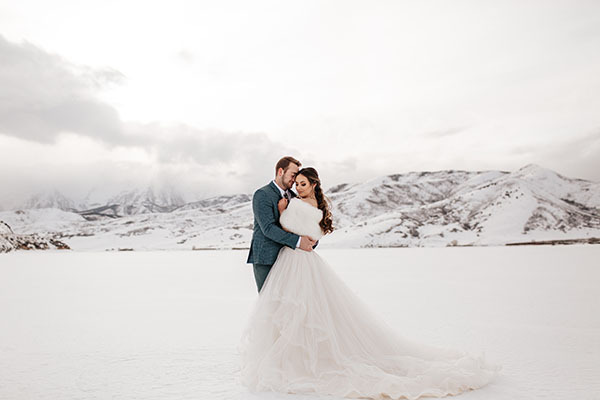 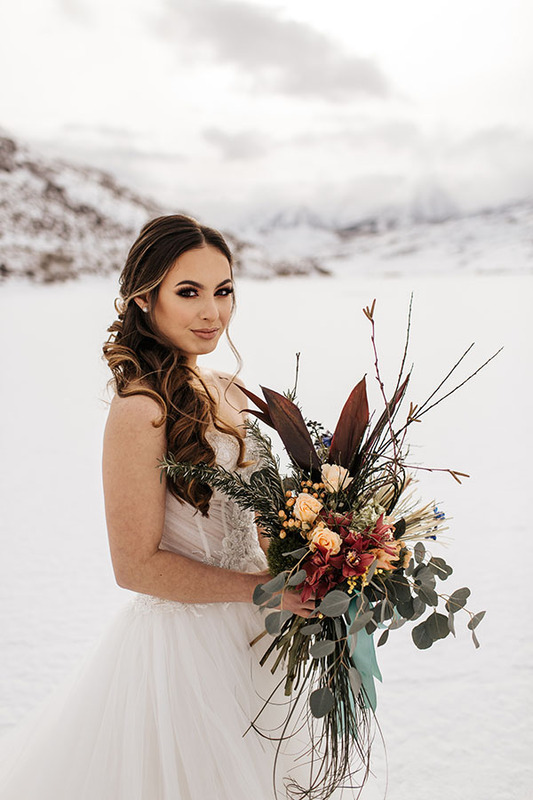 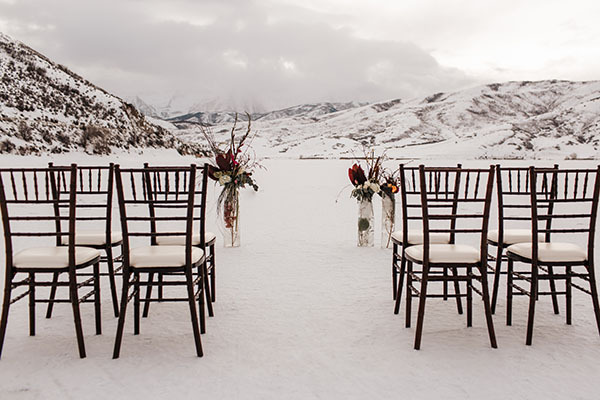 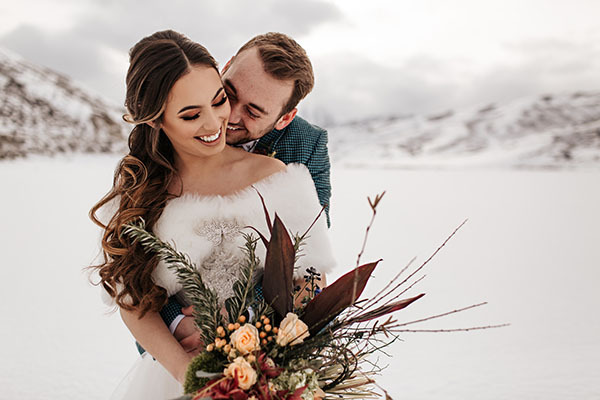 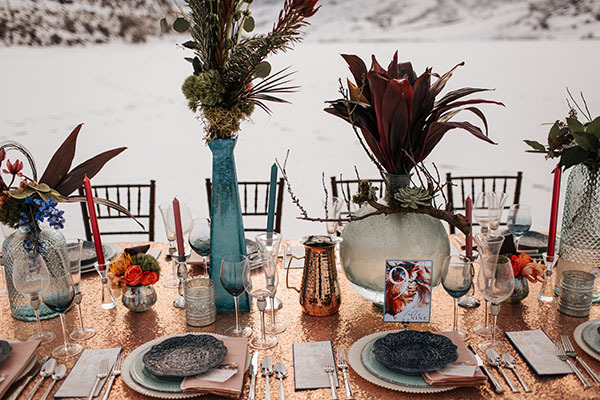 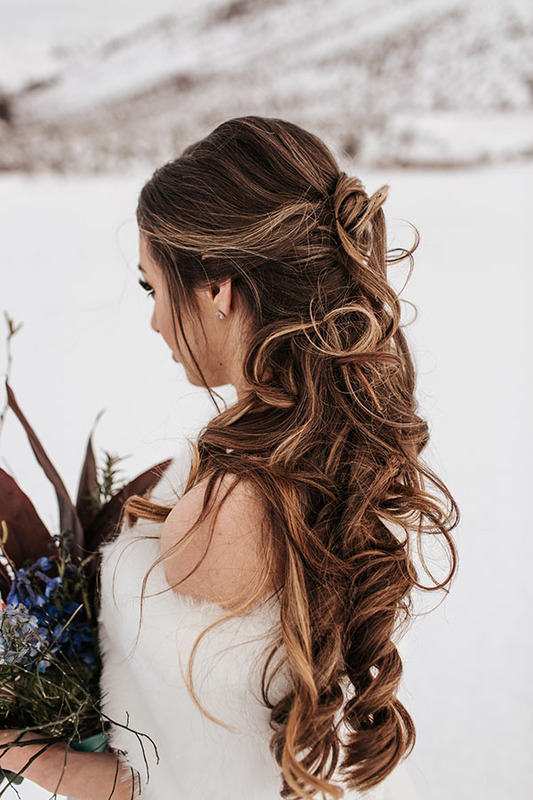 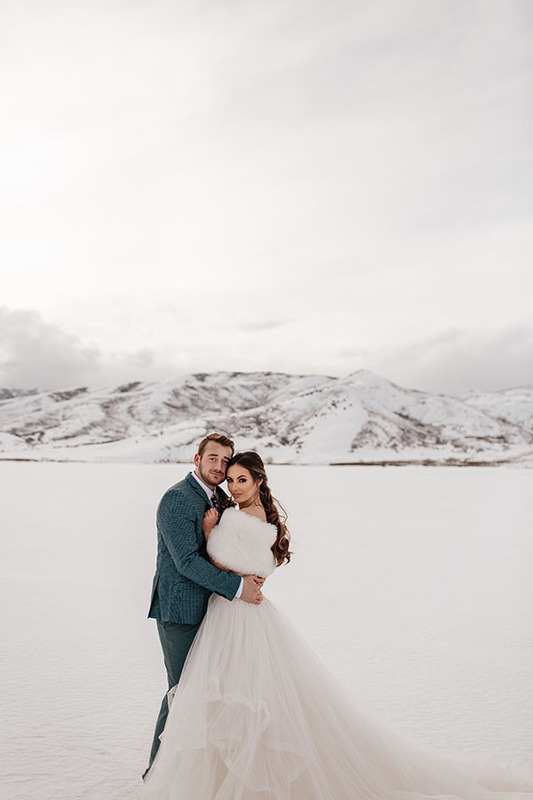 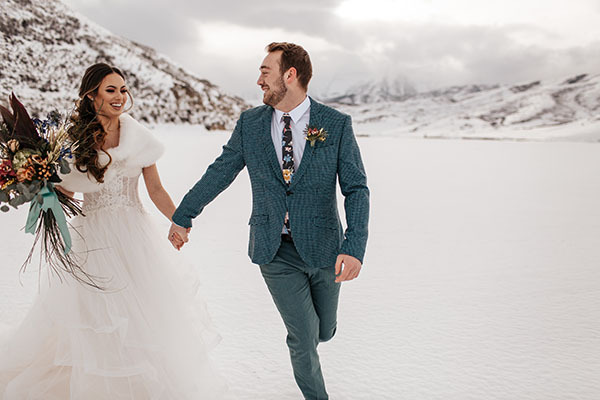 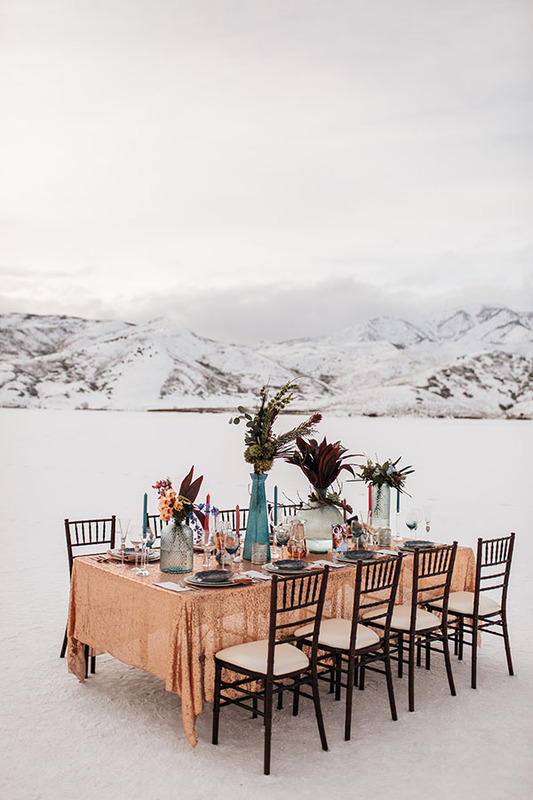 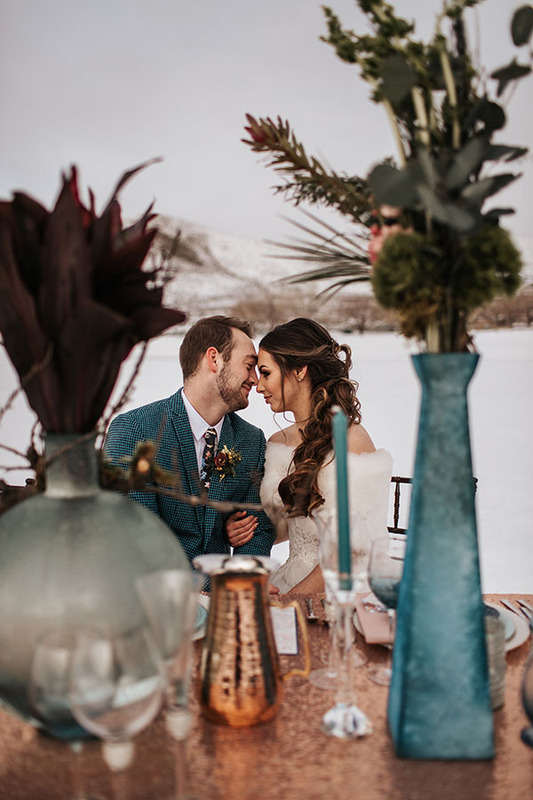 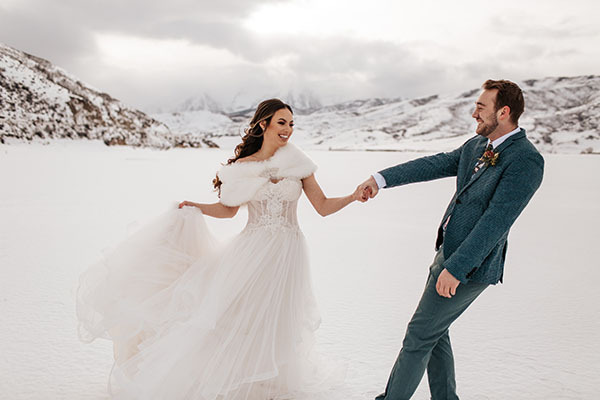 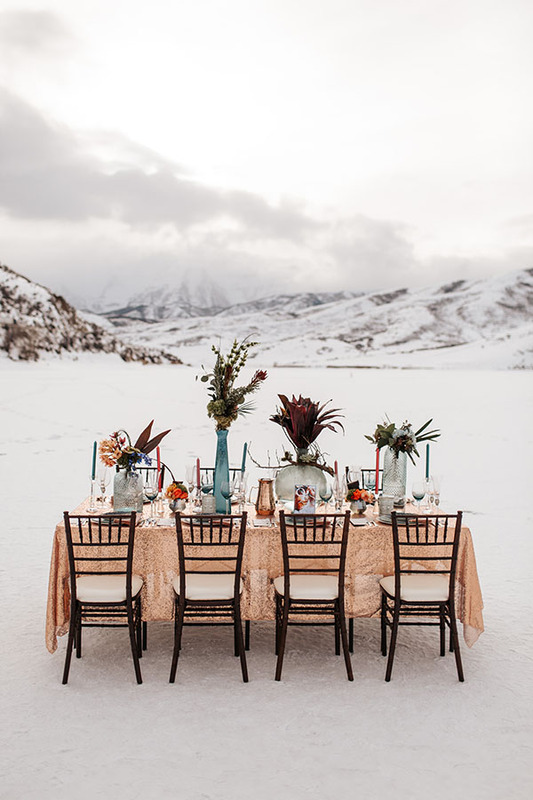 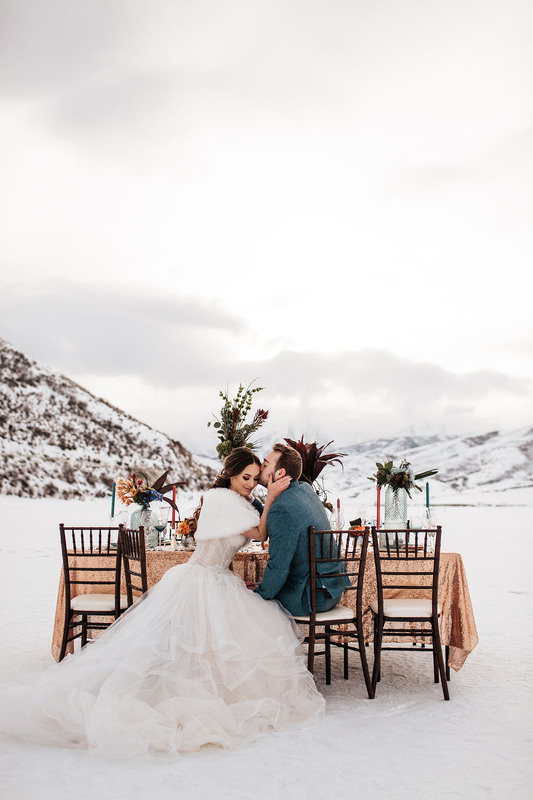 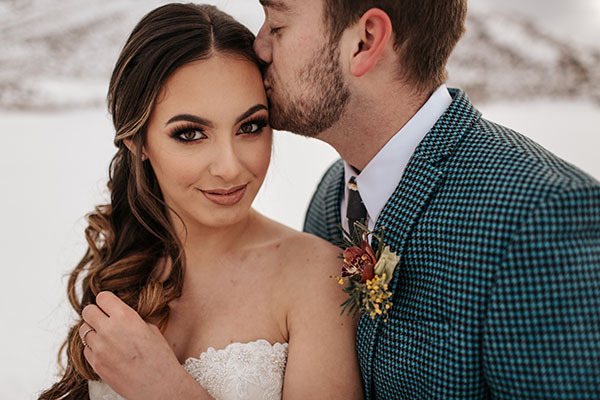 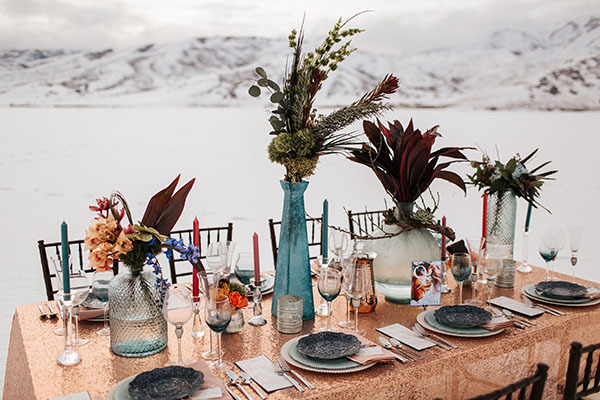 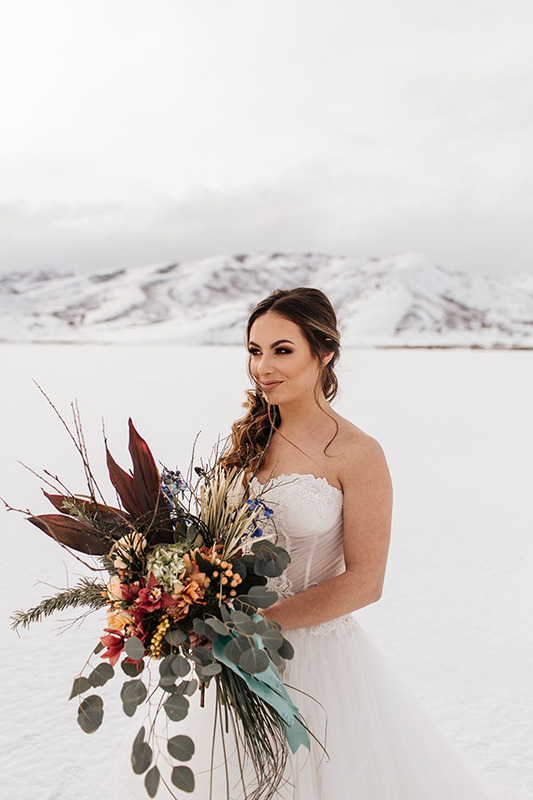 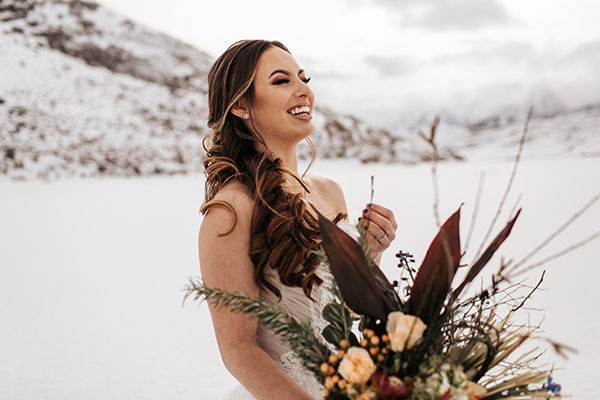 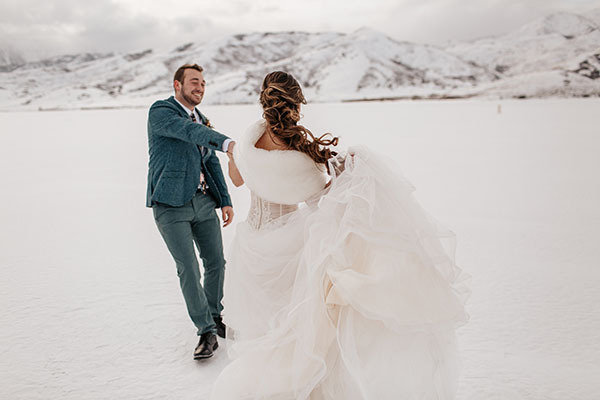 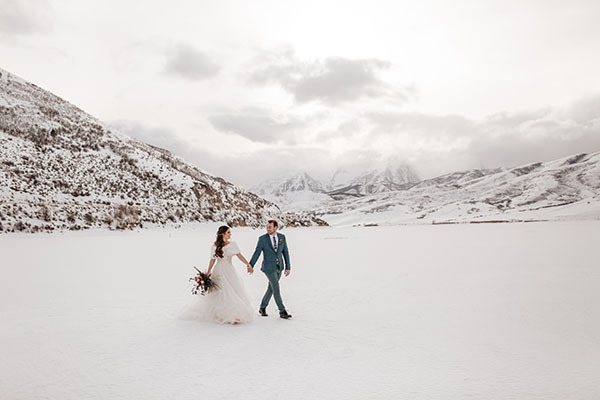 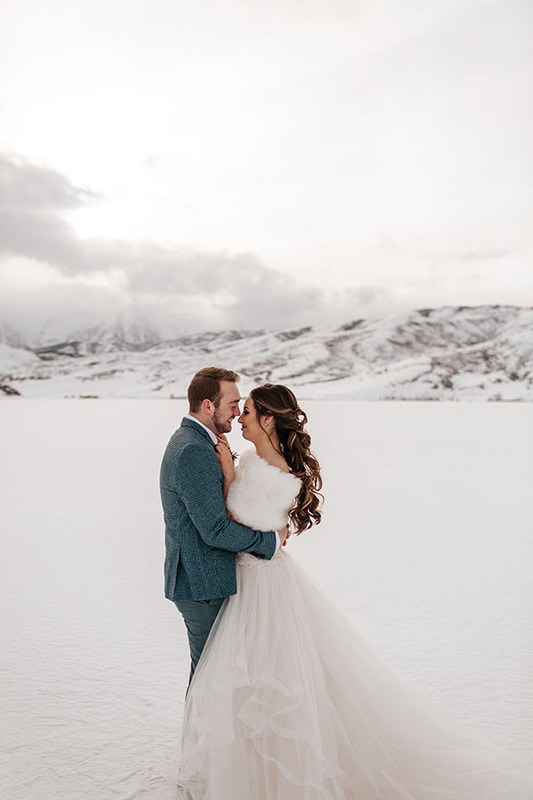 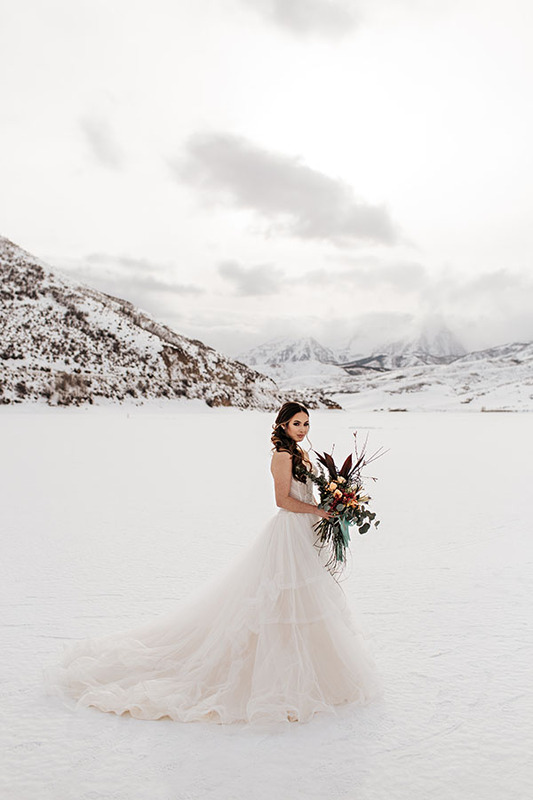 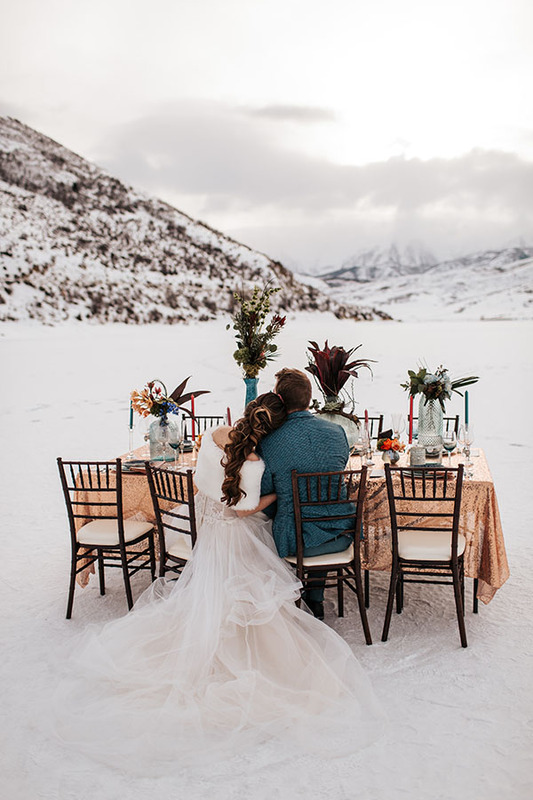 Today’s inspiration is what snowy elopement dreams are made of. 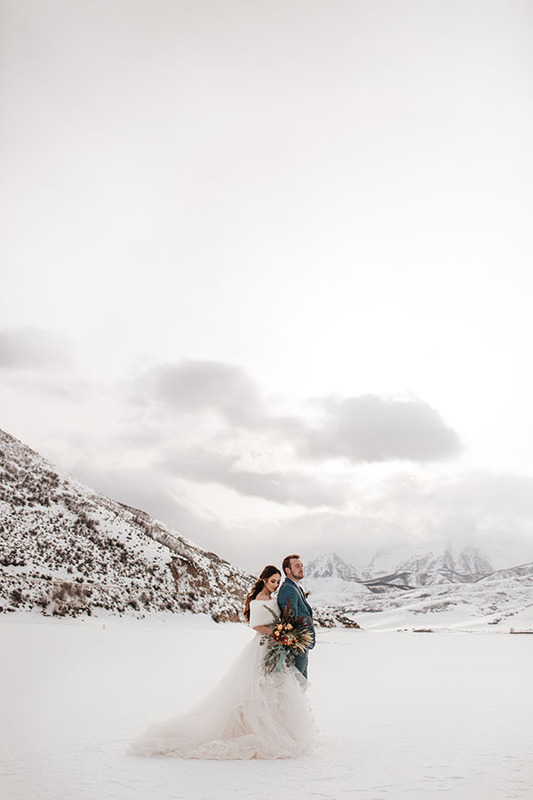 From the ground up, every view is glistening with that sparkling white snow. 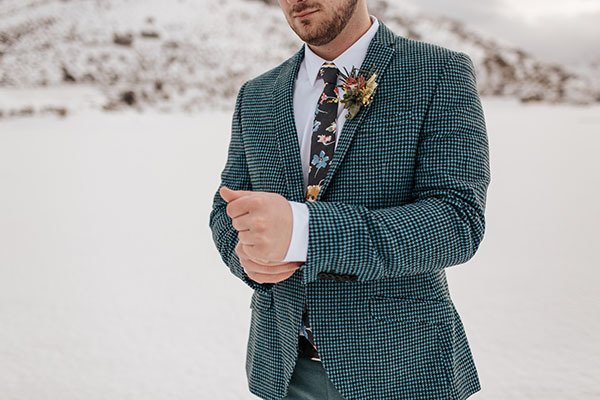 And can we talk about these details? 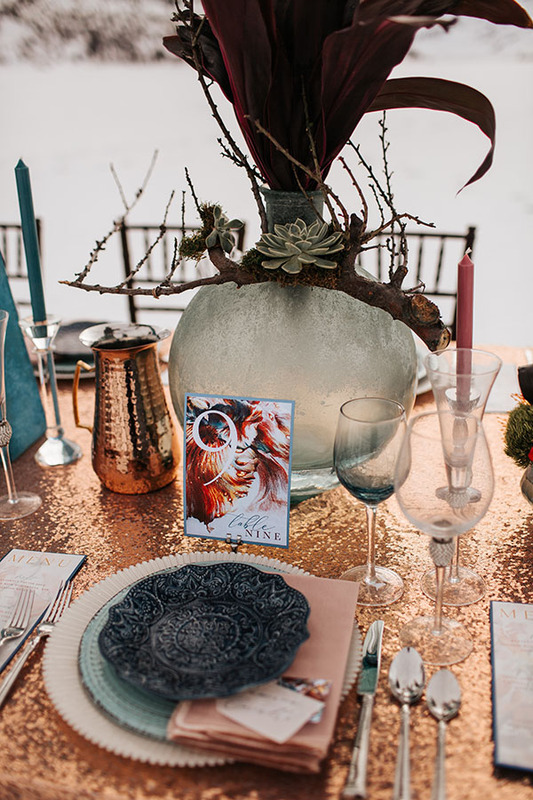 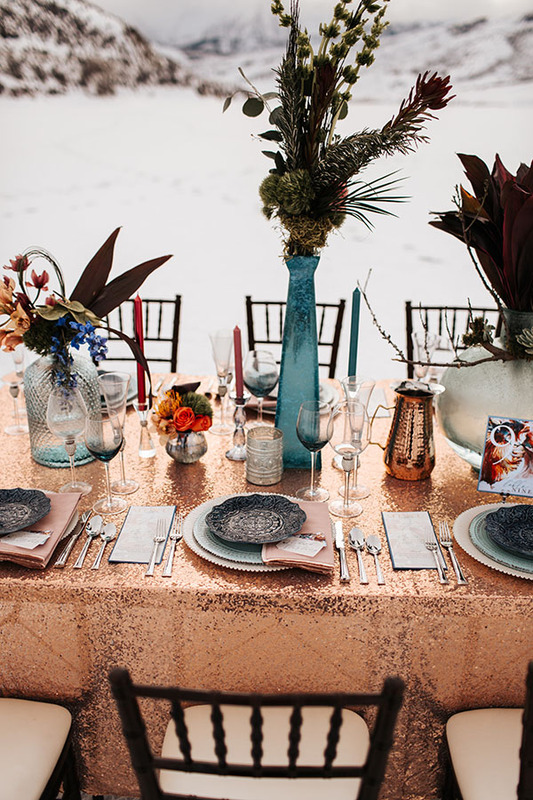 Elizabeth from Eccentricity brought bold color, patterns, glitter, and energy to this literally blank canvas. 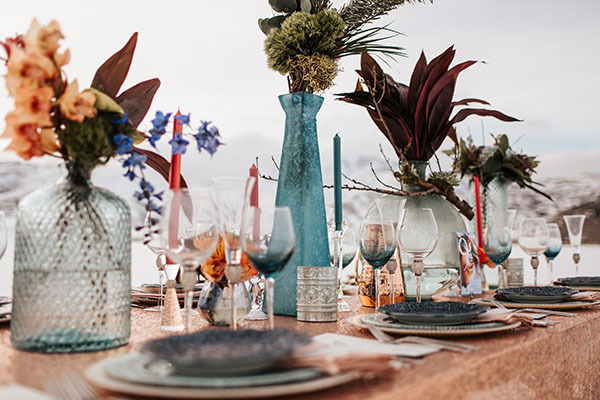 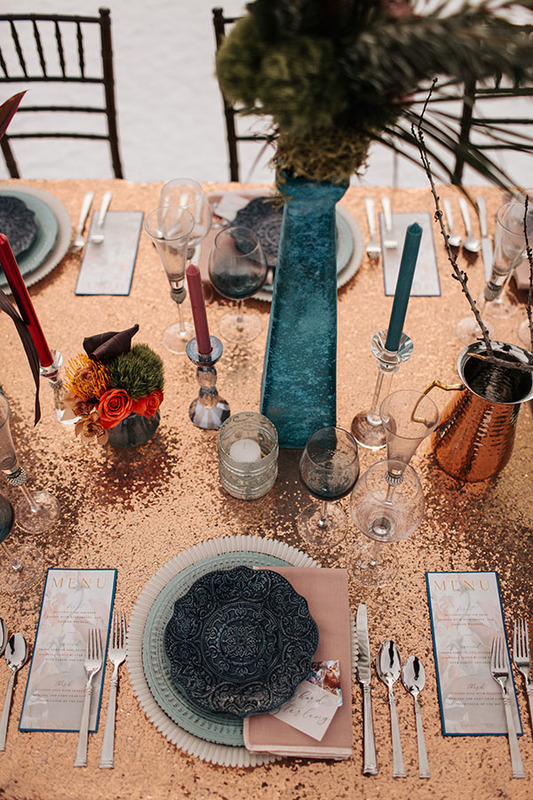 (And those mismatched giant vases make our hearts giddy!) 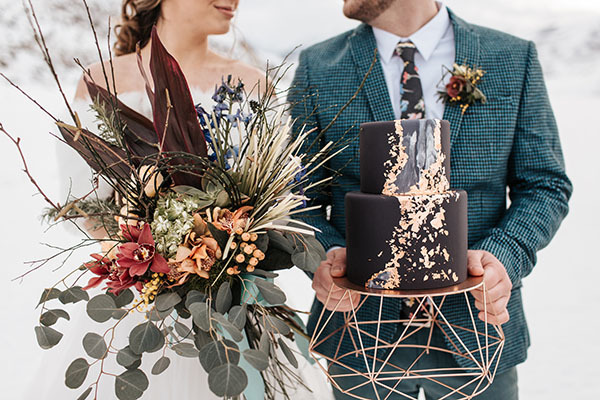 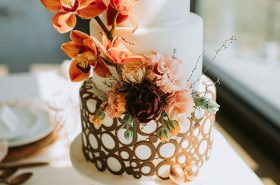 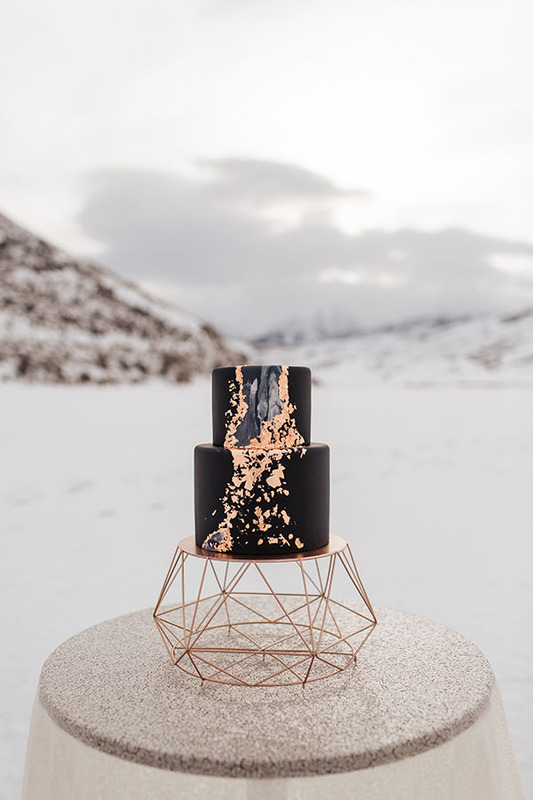 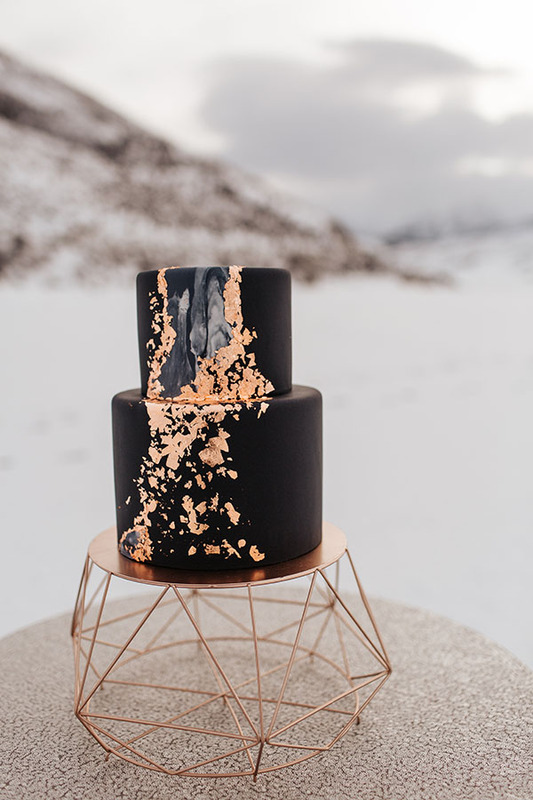 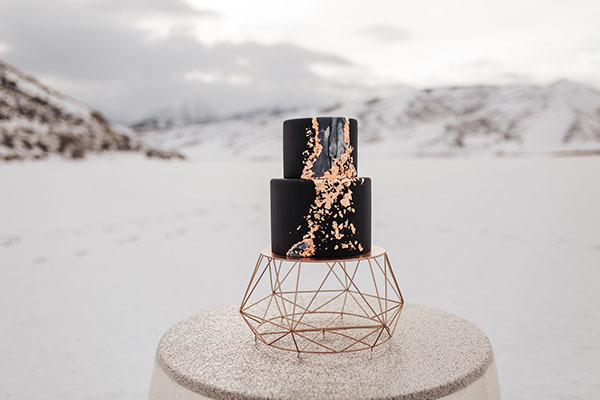 The cake by Sweet Cravings is a black and gold-speckled stunner. 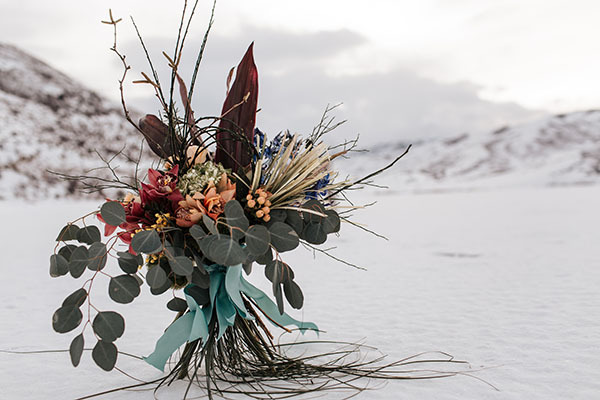 The florals by Every Blooming Thing are earthy and unique. 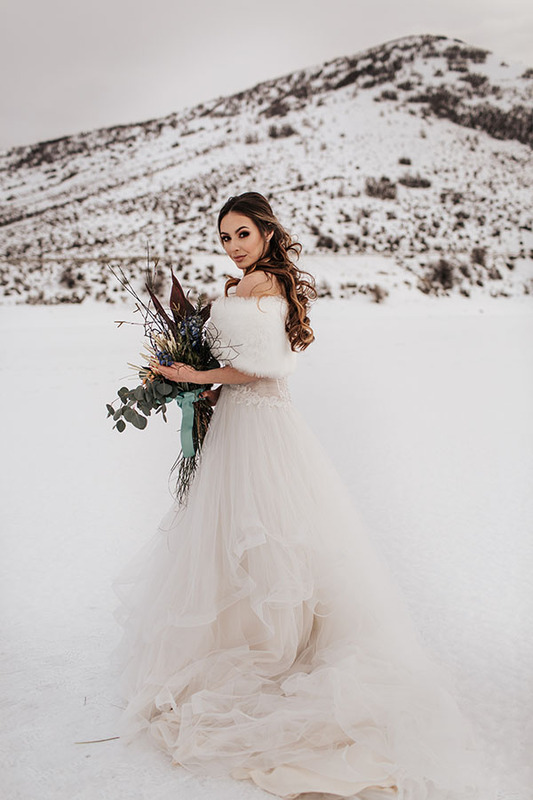 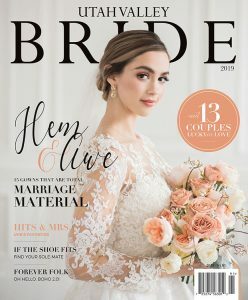 The gown from Mary’s Bridal is a winter fairy tale (it almost floats as she walks). 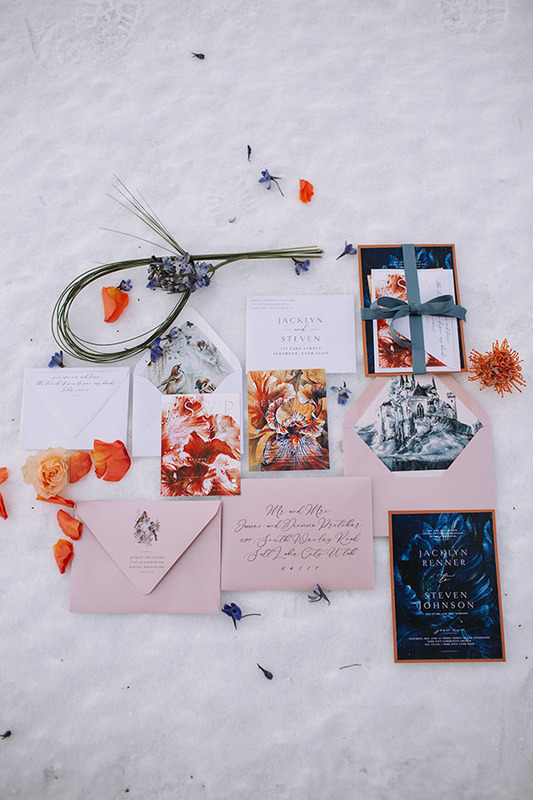 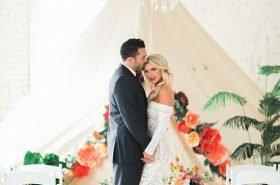 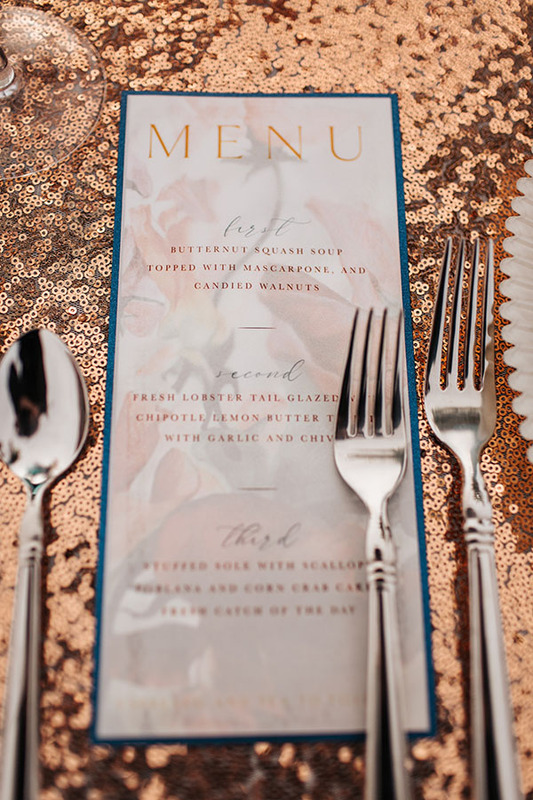 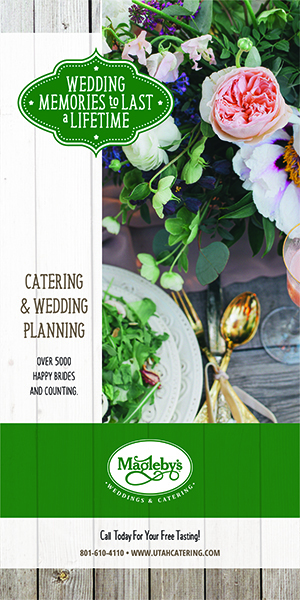 And every image and detail is captured so magically and romantically by Jessica E. Photography. 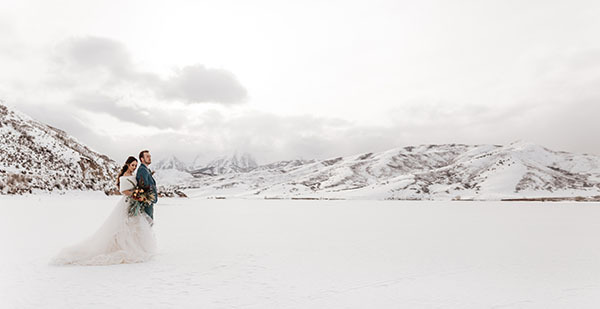 Now bundle up and come scroll with us! 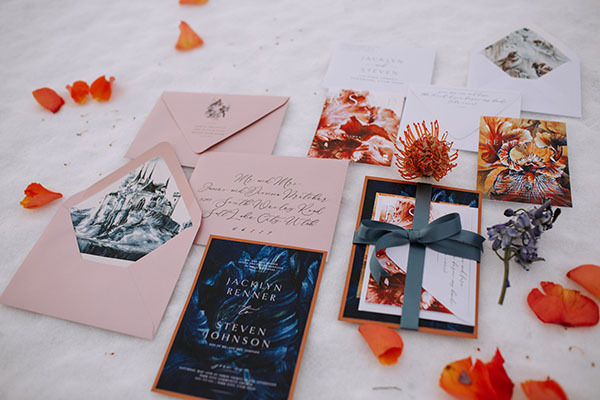 And start by hitting play on this fabulous frozen film from Holden Films.